With Secrets of the Enchanted Galapagos Islands you can explore the region as part of a small group with a private speed boat. Experience the highlights of Ecuador’s most iconic destination during daily boat and hiking tours to sites with Galapagos tortoises, sea lions, and penguins, as well as stunning beaches and volcanic craters. Arrive and depart from Baltra Island with visits to Isabela and Santa Cruz islands. 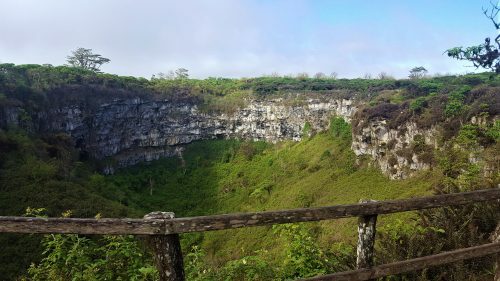 Key attractions include the Charles Darwin Station, Sierra Negra Volcano, Highlands, Tintoreras, the Flamingo Lagoon, Garrapatero Beach and Twin Craters. Island hopping is a fantastic alternative to being based on a boat for the duration of your time in the islands. You have more flexibility with dates and timing, it is more cost effective, and sea sickness is not an issue. Additionally, after the days activities you have options for restaurants and can explore the small towns as opposed to being on board. There are a few areas and islands further out that can only be visited when cruising. Contact us for a more in-depth explanation of which areas we recommend visiting to ensure you pick the right option for your travel style! This program can be modified to meet your needs. Upon arrival in Baltra, you will take a short boat shuttle across to Santa Cruz Island and from there journey across the island into the highlands. Visitors will be amazed by the island’s variety of wildlife and geology. Beginning on the coast and travelling north along the road to Puerto Ayora, the road climbs through the agricultural zone and into the mist-covered forests of the highlands. Santa Cruz possesses all of the various life zones present on the archipelago, with wonderful bird watching opportunities. Darwin’s finches and almost every land bird present on the islands can be found here. Continuing on, the tour will stop at one of the ranches for lunch and travellers will be able to explore the grounds in search of tortoises. After lunch, the tour will visit the tunnels of lava. Descending through the agricultural zone into the Transition Zone where the Tortoise Reserve is located. You will notice the introduced vegetation of the farmlands is replaced by native vegetation in this area. After we will continue to Puerto Ayora to spend the afternoon at leisure. Accommodation in selected hotel. After breakfast, transfer to Isabela island. Today you will visit the Flamingo Lagoon. This is an approx. 2km trail with your guide providing explanations of the vegetation and geology on this young island. Arriving at the Flamingo Lagoon, you may be able to see Flamingos feeding in this lake. Interestingly, this is actually an artificial lake. Due to excavation for construction nearby, the lake was filled with rain water and taken over by the flamings. 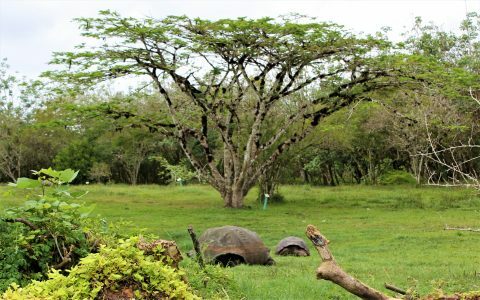 After this stop, continue on to visit the Tortoise breeding centre where you will learn more about the reproduction and breeding of the Tortoises. 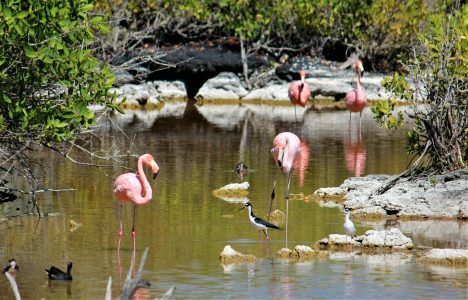 After lunch, the afternoon will be spent visiting Tintoreras Islets, located a short distance from Puerto Villamil, and home to a great variety of wildlife. Its turquoise, crystalline waters are inhabited by white-tipped reef sharks, Galapagos penguins, marine turtles and sea lions. One of its beaches, surrounded by mangroves, is one of the few sites where marine iguanas can reproduce successfully. Reaching the Isle of Tintoreras, we will get to know a lot of these species. Most of the part of this island is formed by AA lava. Accommodation in selected hotel. Breakfast. Today you will enjoy a relaxing day on the beach or if you prefer you will visit Negra Volcano. In Sierra Negra, we will have a walk of about 2 hours to reach the crater of the volcano. There you will have a wonderful view and with a little luck, will be able to see the sparrow hawk of the Galapagos. 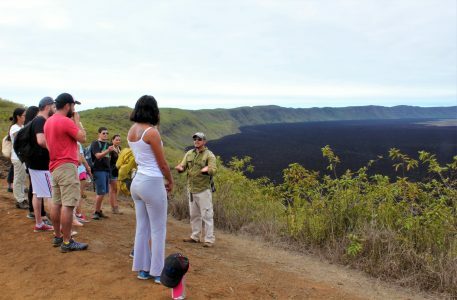 During this stop you will hear about the unique geology of the Sierra Negra Volcano. Most of this island was formed by AA lava. We will have a box lunch and visit el Chico Volcano. In the afternoon, transfer to Santa Cruz. Accommodation in selected hotel. After breakfast, the tour will head to Charles Darwin Station. The centre is a reservoir of information on habitats and local conservation, as well as other fascinating relevant statistics. The most striking attraction of this station is certainly the Tortoise Breeding Centre, where it is possible to view tortoises of different shapes and sizes. Travellers here can freely walk and get their pictures taken with the tortoises. 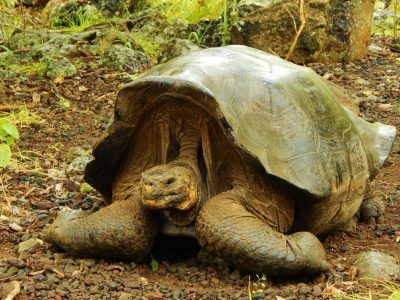 Additionally, in order to fully take advantage of your visit to the Galapagos Islands, you will be able to visit the station where legendary “Lonesome George” is exhibited as the last of his species. In 2012, after his death, he was shipped to New York to the American Museum of Natural History in order to start an embalming process for his conservation. Lonesome George was exhibited in the museum for one year. Now Lonesome George is back in the Charles Darwin research station, as a “symbol” of conservation. After lunch, the group will visit Garrapatero which is a long white beach (approximately 1,500 m long) located 19 km to the northeast of Puerto Ayora. It can be reached by boat (20 minutes) or car, through Bellavista and Cascajo (50 minutes). From the parking area, there is a walk of just less than 1 km to the beach. In addition to the beautiful beach, there is a lagoon where flamingos and White-cheeked Pintail Ducks can sometimes be observed. Many birds found in the arid zone, as well as shorebirds, can be seen there. There is also a rental kayak service to go for a ride and enjoy the lovely landscape. Accommodation in selected hotel. Galapagos Migration Card (US$ 20 per person).